Lightweight, stretchy softshell competition jacket with Horseware branded buttons, zip pockets and a single vent for comfortable riding. 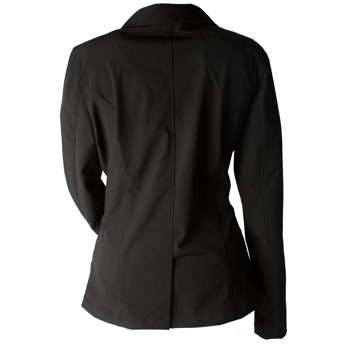 The ladies version has a vertical style line on the front for a more fitted shape. Machine washable, 85% polyester, 3% spandex, 12% PU. Breathability 1000mvp. Waterproof 3000mm.